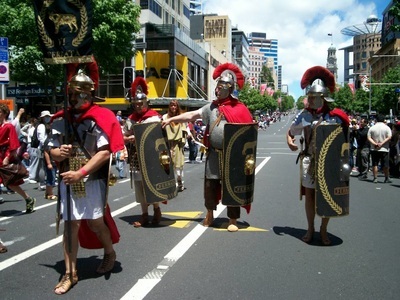 Again we were invited to be the pre-parade entertainment. 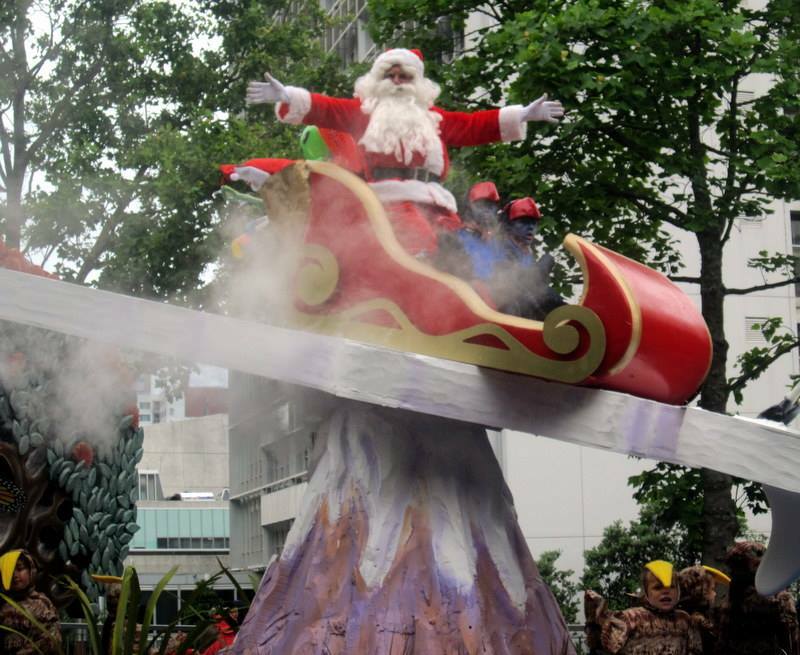 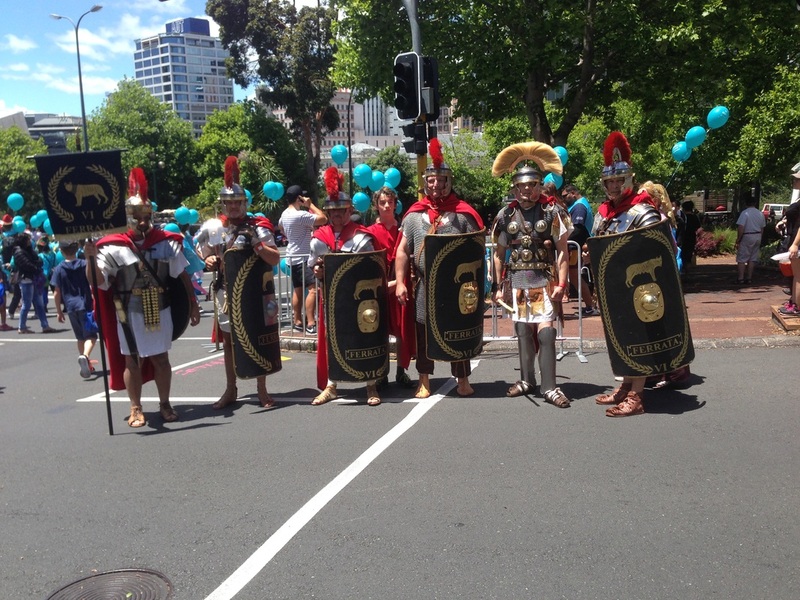 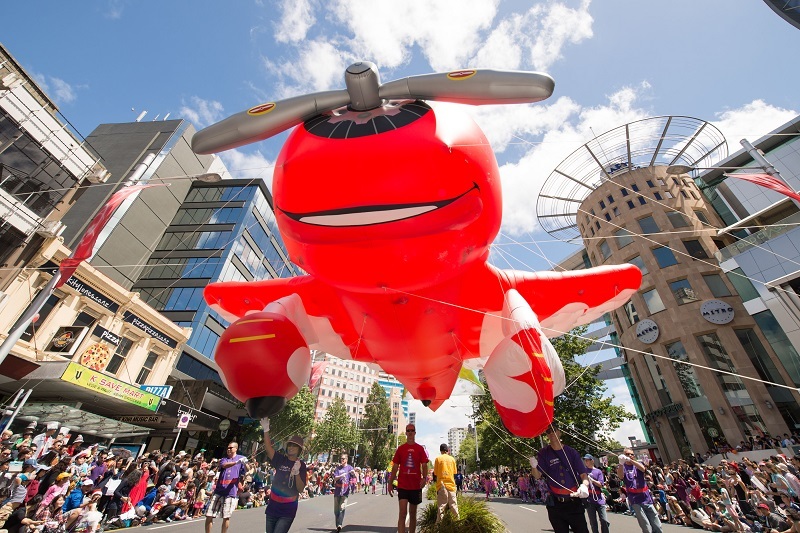 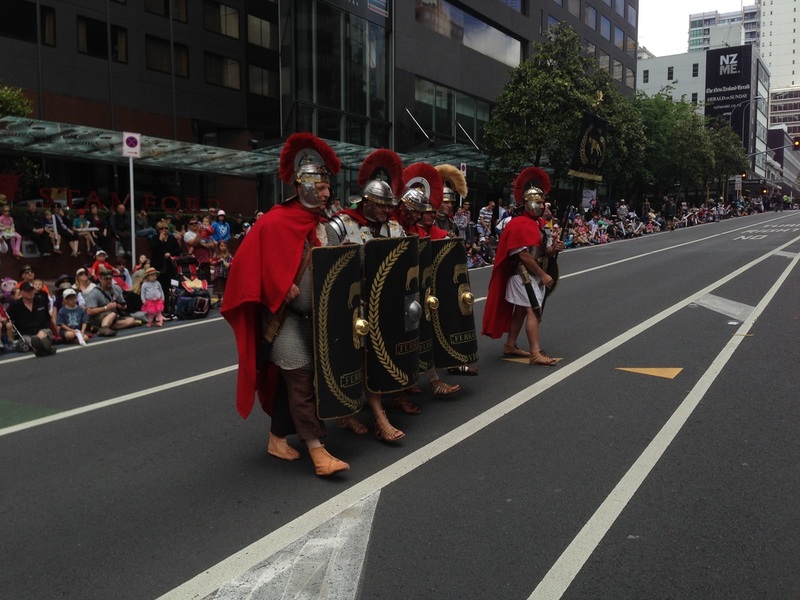 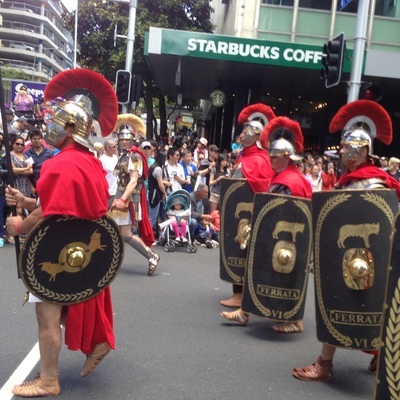 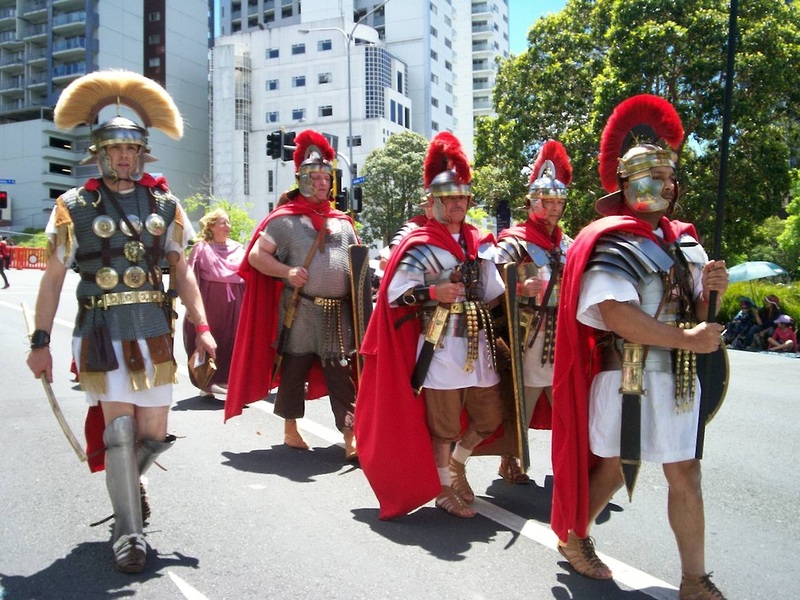 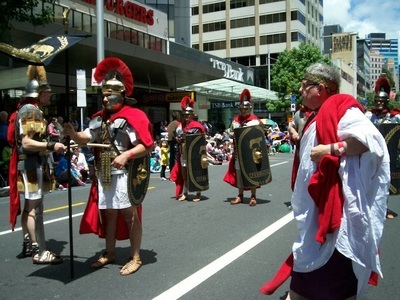 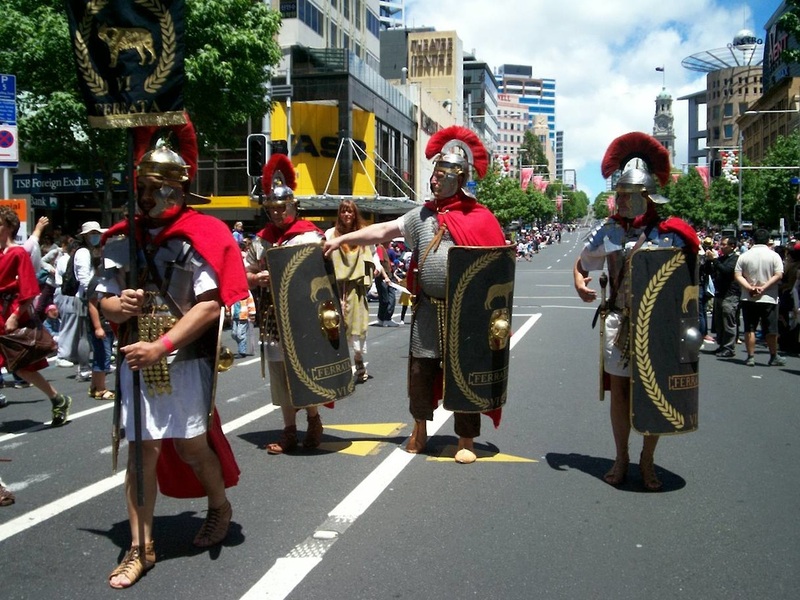 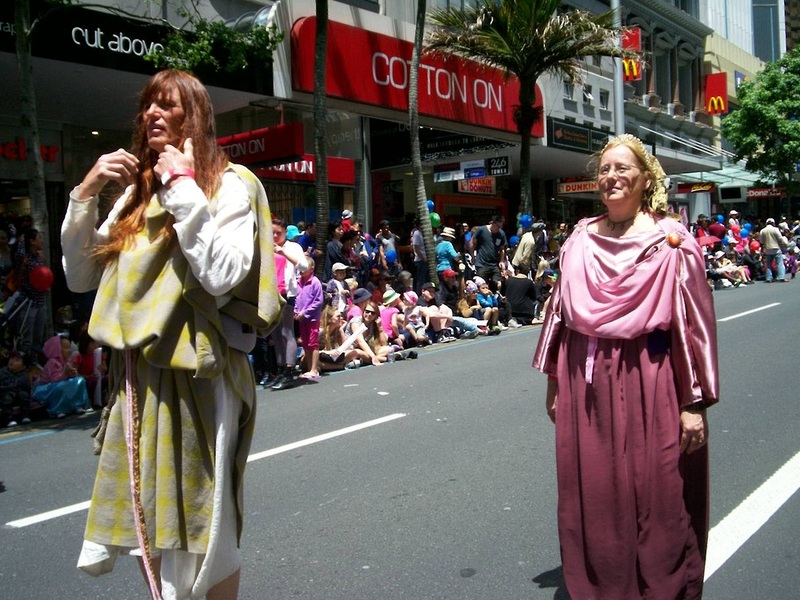 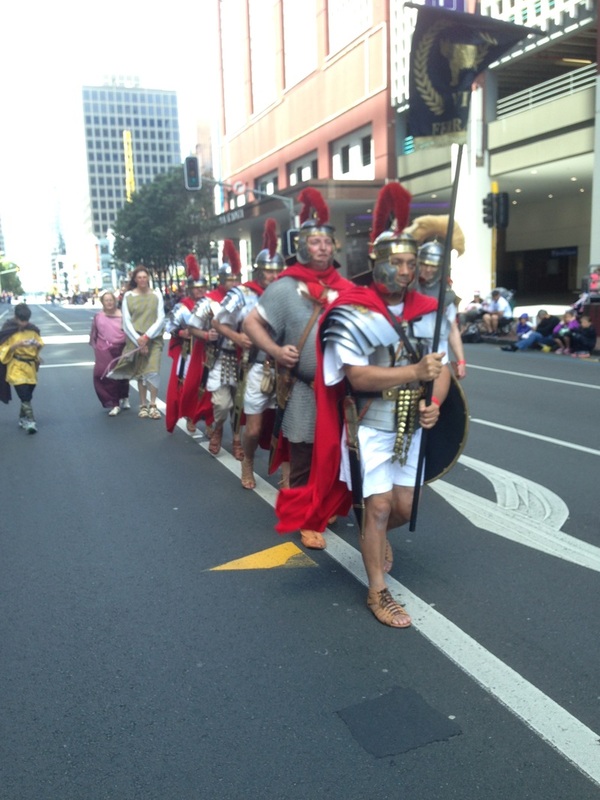 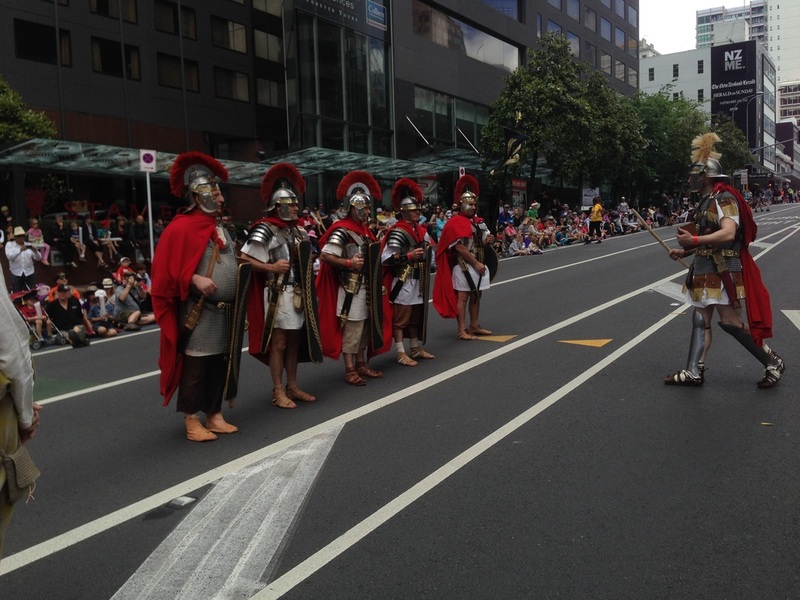 We marched down Queen Street from the Aotea Centre and then up Albert St. 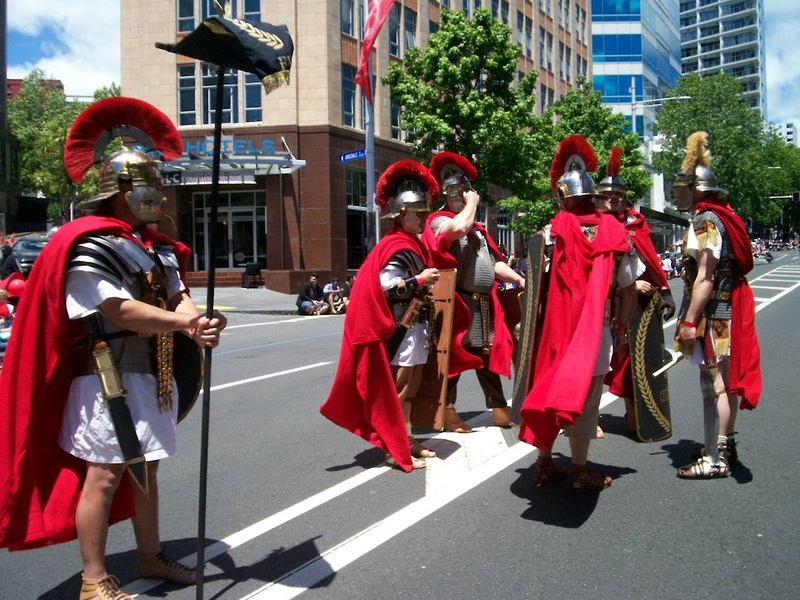 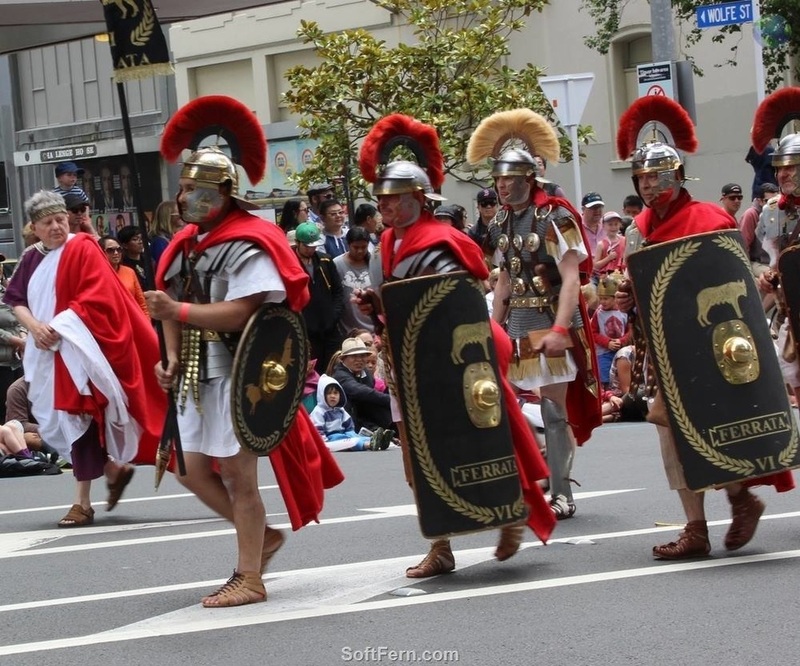 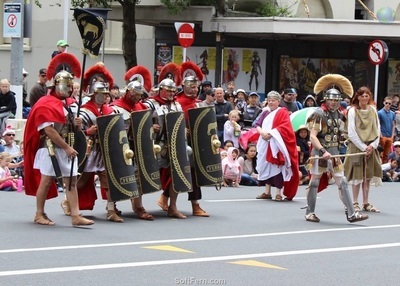 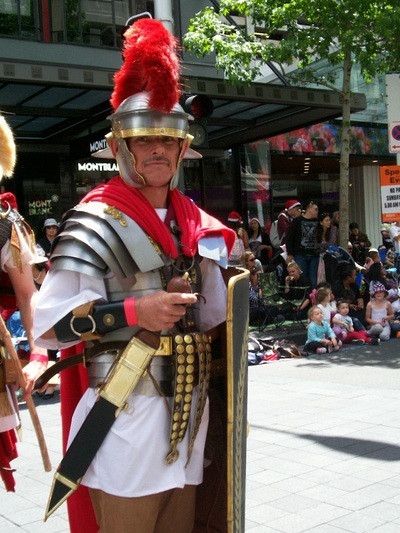 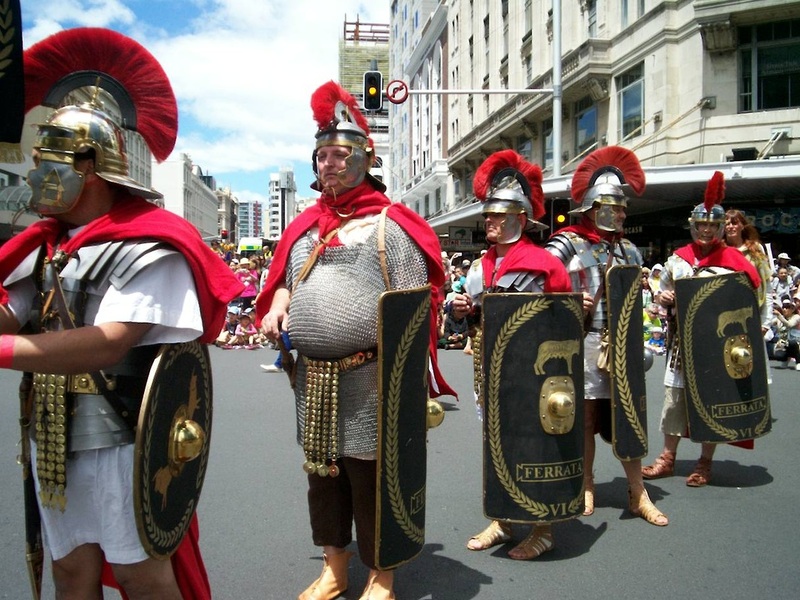 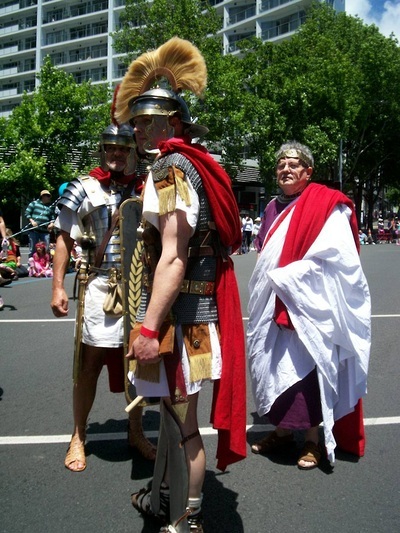 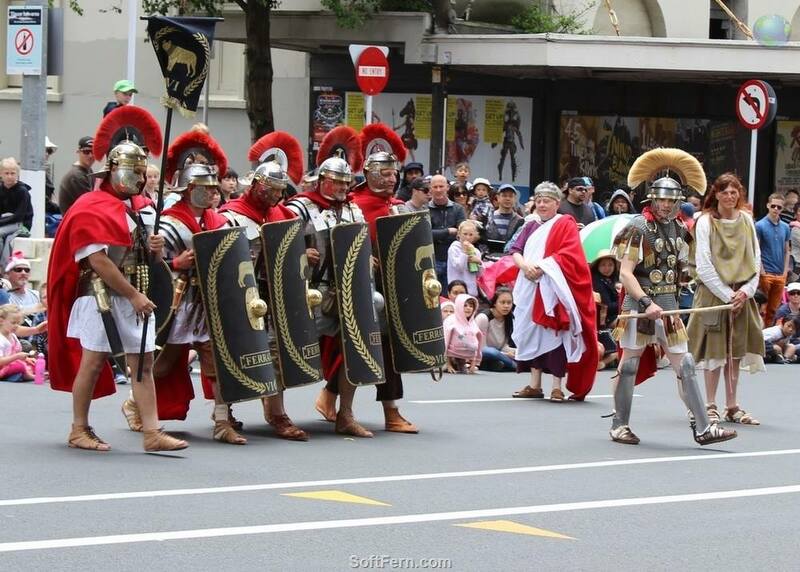 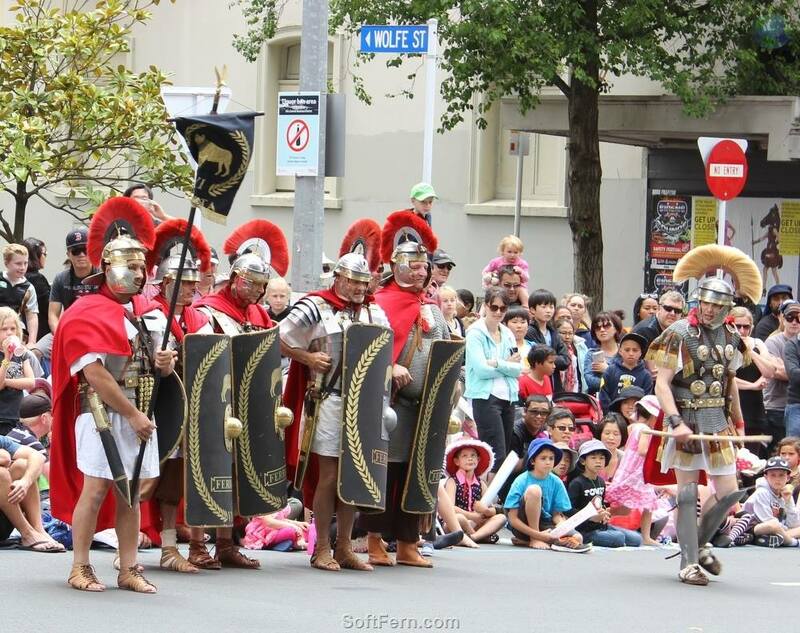 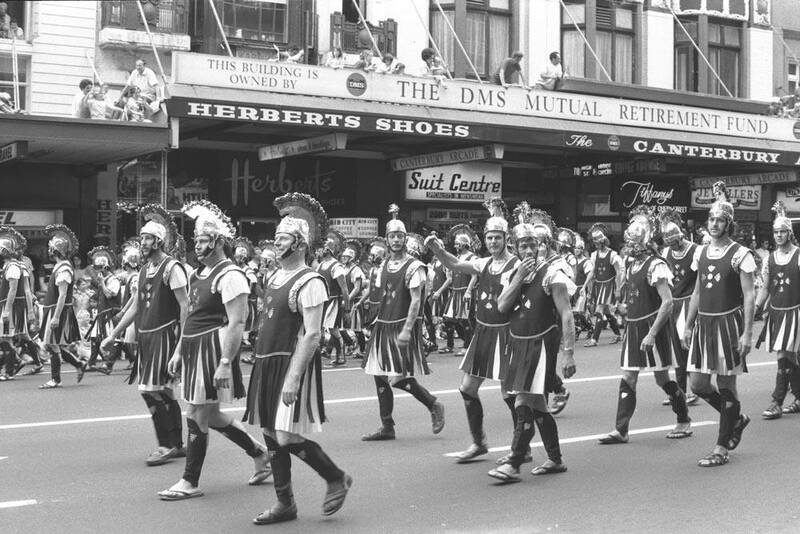 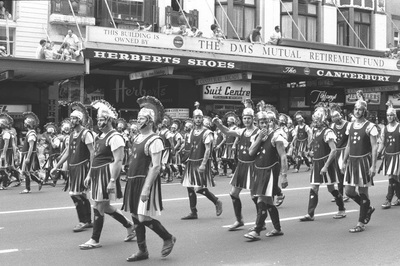 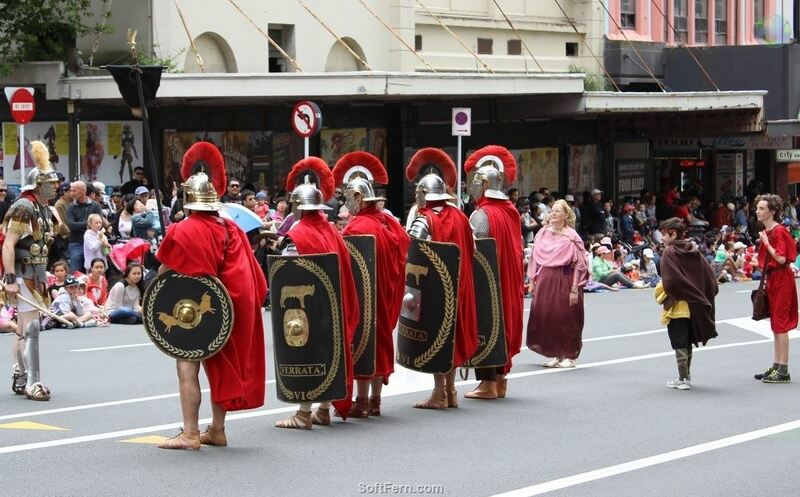 The legionaries performed various military maneuvers, including charging the audience with raised gladii. 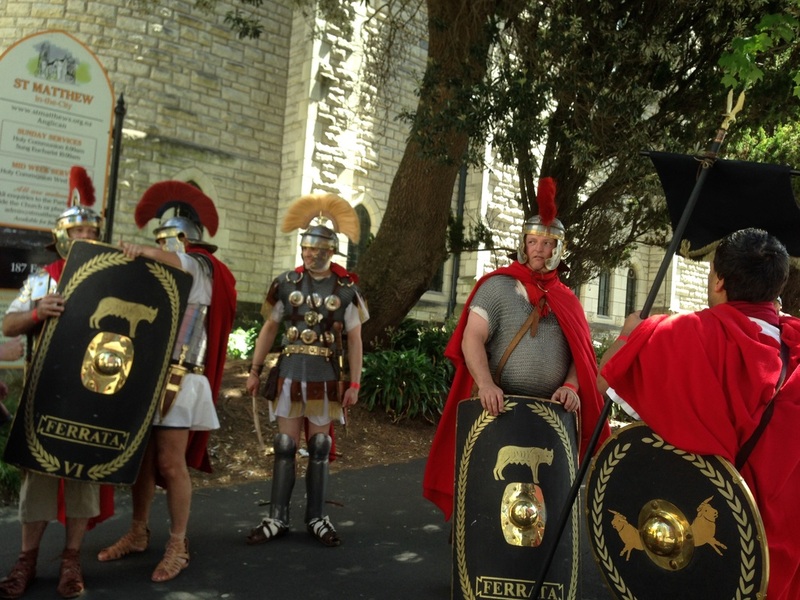 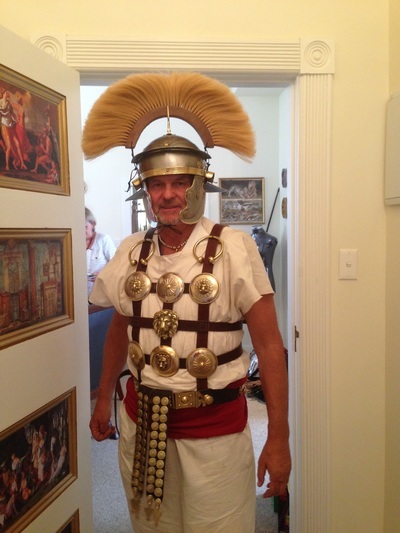 The Centurion now and then would sing out "HAVE YOU PAID YOUR TAXES?" 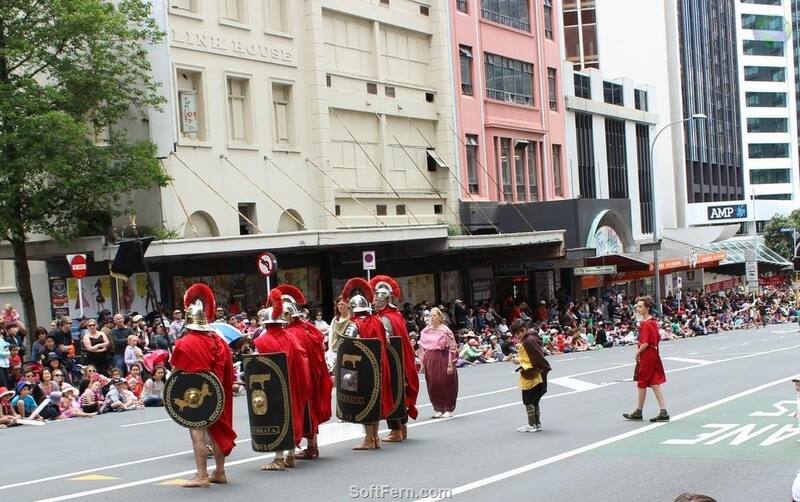 and Idunna would ask for tax money from the audience. 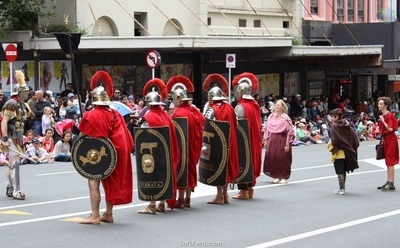 For some strange reason no one gave us any taxes. 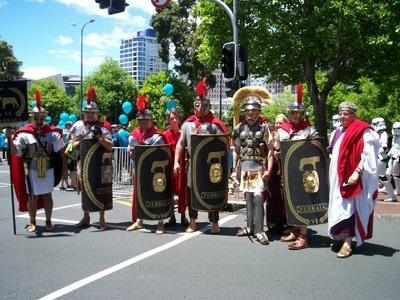 We decided to carry a collection box next time! 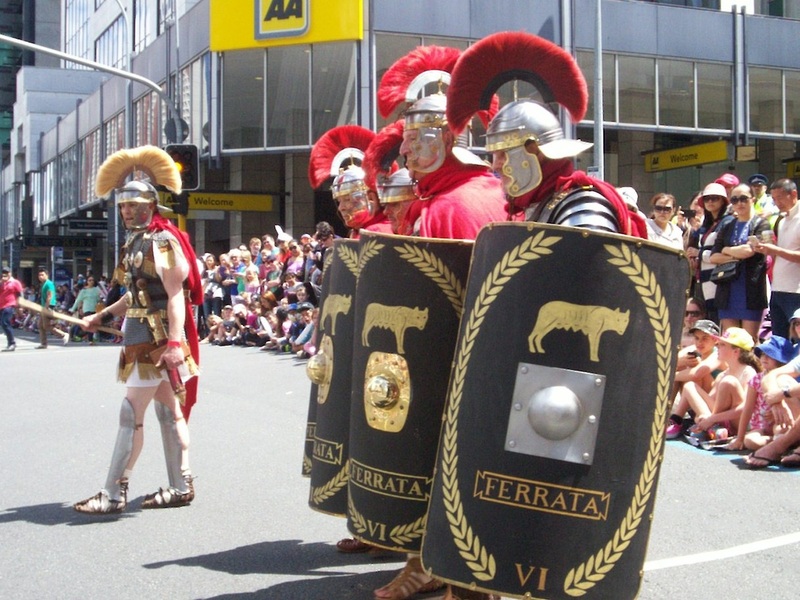 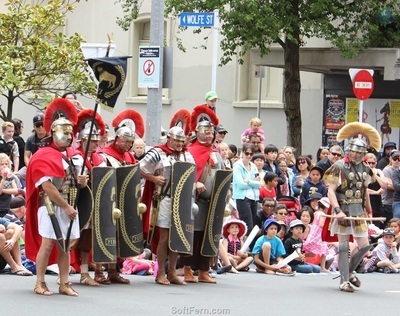 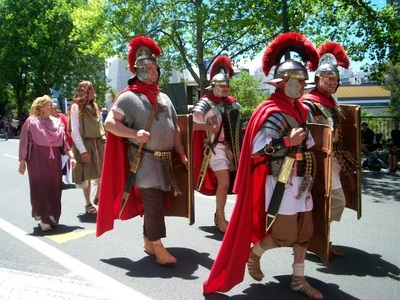 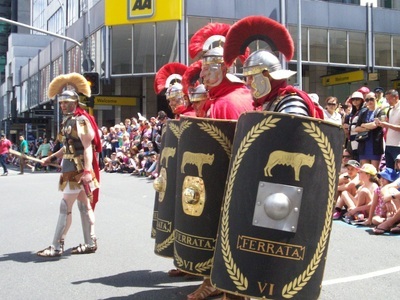 Legio VI Ferrata chanted their marching song as they paraded along, while Idunna carried the portable music player to add to the ambiance with the theme from Gladiator. 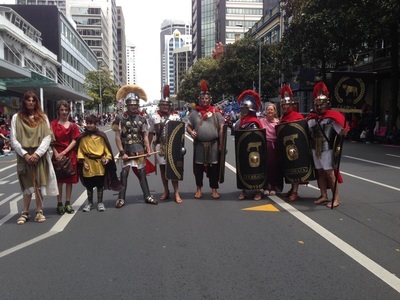 Periodically we stopped to pose for photographs, and were mobbed by crowds wanting selfies. 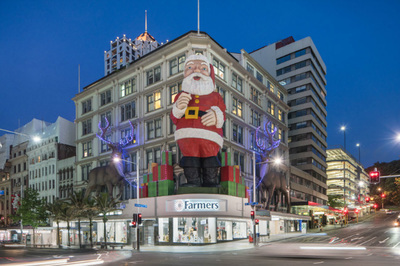 A really great day for families to get into the Christmas spirit.